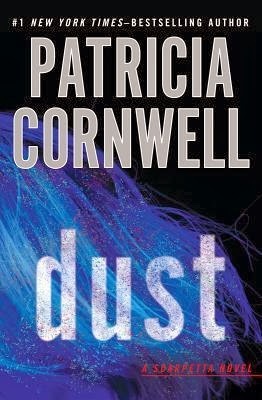 It took me longer than I expected, but I finally wrapped up reading Patricia Cornwell’s latest Kay Scarpetta novel, Dust. Did I love it? Yes. It was okay. Meh. I thought it was a bump up from The Bone Bed (2012); however, not as arresting as Cornwell attempt in Red Mist (2011) or even Port Mortuary (2010). Dust did capture my attention enough to push through it, but it didn't stir me like the books I just mentioned. I believe what threw me off more than anything, or was more noticeable in this entry to the series than ever before, was the goddamn stoical pacing of the book/plot/mystery. 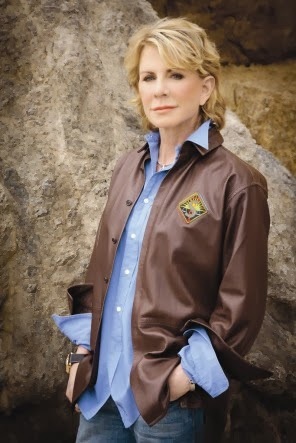 I have to gush about why I love Patricia Cornwell and kept reading her even when she spent six books serving me cold material, after leaving her readers out of the exclusivity of Scarpetta‘s first person narrative. I am a loyal reader so I think I can say that about that awful third person, omniscient narrative she took on through books 12-17 in the series. However, I digress. Some years ago I wanted to know and education myself a little more on forensic science. At one time I dreamed of writing something similar. I knew I could never touch it like the experts, but I wanted to be in the know all the same. I found a lot of non-fiction books during that period (particularly Bill Bass‘s books on forensic anthropology), but I needed something with story, and of course a female lead to guide me through it. While I heard of Cornwell, and stocked plenty of her books back in my Borders days, I never read her. Then I was recommended Cornwell’s The Body Farm (1994) and it sat on my shelf for damn near a year before one summer I finally picked it up. Let’s just say the doors blew off the hinges. Suddenly I was reading one book a day in the Kay Scarpetta series. Even denying school work just to escape into another of Kay Scarpetta's forensic mysteries. I was addicted from then forward and I never gave up on Scarpetta, Benton, Marino, and Lucy--Cornwell's cast. Even when Cornwell's characters were getting understandably butchered (yes, I understood why people hated them) by reviews and readers, I kept reading. I never gave up. Never, never, never. Until The Scarpetta Factor (2009) came out. That book was HO-RI-BLE! To this day I’ve never managed to finish it. So I was ready to call it quits until Cornwell did the smart thing (yeah, I said it) and returned to first person narrative in the proceeding book to The Scarpetta Factor, Port Mortuary. See, the whole point of me loving the series was because I liked Scarpetta‘s voice. I trusted her intelligence and felt associated with her and her world through her. She was my connection, even when I spent six books teetering to the side. I got my grounding fiction and my forensics lesson all in one drop, so to speak. So what drove me to finish Dust even though I thought it was dusty and dry itself? Scarpetta’s voice. That was probably the singular thing that kept me in locomotion. While some think she is self-absorbed and abrasive, I seem to somehow never notice it as I remain tapped into her well of information and dedication to bring about justice. Her diagnosing gruesome situations, examining forensic details, and using simple deduction to solve cases just seems to hold my attention. Even if I’m slogging through a book with some bad pacing. Dust takes place in a single day, with the exception of a flashback scene from Scarpetta’s earlier years and a Five-Days-Later final chapter that closes off the book’s case in Florida. Nonetheless, the book starts with Massachusetts Chief Medical Examiner, Kay Scarpetta, ill at home in bed after tending to the bodies of victims related to a large-scale spectacle killing. 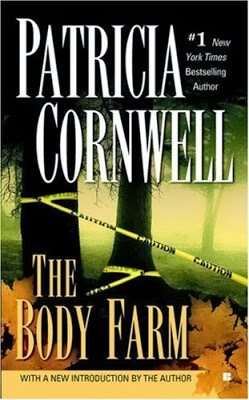 Cornwell used an actual, recent national tragedy to postmark the reason behind Scarpetta’s burst of stress-induced flu. Many readers/reviewers argue that Cornwell exploited this tragedy in her book; I’ll do like Cornwell did and not mention the tragedy by name. Nevertheless, to me she really only spent two or three small moments in Scarpetta’s musings on the incident. That was all. Nothing forwardly advertised. I understood what Cornwell was attempting to do and did not find it exploitative. The prime vehicle driving any Scarpetta forensic thriller is a body. In Dust one shows up as the former Gail Shipman, a computer engineer amidst a $100 million dollar lawsuit which very much reflected Cornwell‘s recently personal courtroom activities. Gail was last seen exiting a bar before landing dead-cold in the middle of the Massachusetts Institute of Technology’s Brigg Fields, draped in a white cloth. With the local police department on the case, Scarpetta is pulled in by her historically-steep off and on friend/associate, Detective Pete Marino. This interaction comes in the form of a 4am phone call that awakens a sick Scarpetta on page one. However, Scarpetta never actually attends to the body of Gail till page 100. Which makes you wonder what happened in 100 pages? Besides Scarpetta and Marino finally leaving her home 62 pages into the book? I have the answer: nothing really significant but painfully uneventful set-up surrounding the case. There’s a stream of ruminations and verbal putt-putting between Marino and Scarpetta. There’s that flashback chapter that I still haven’t made sense of its purpose. I anticipated a series of flashbacks throughout the book, each meant to provide a revelation of some sort. But no. It was that singular flashback that I can’t recall presenting me anything toward the plot. What it did do was stress more on how much of a flake Marino is consistently painted out to be by the author. Now we do get small hints surrounding the story behind Gail’s murder, hints that eventually lead to the FBI’s role in this investigation as well as Scarpetta’s FBI profiler husband, Benton, and super smart techno niece, Lucy. But that’s just it; those 100 pages are filled with rumbling thoughts, hints, and conversations. And that's pretty much the pacing of the book. You're introduced to a new location/scene and for about 100 pages or so the characters stand around and ruminate on the crime, victims, modus operandi, and potential suspects. I've gotten used to how multi-layered and contrive (sometimes unbelievable) the mystery aspects are in some books within the series. Sometimes many of the elements that make up the psychopathic killer and his means of murder are so stretched out that I'm mostly left confused up to his/her final unveiling. However, it doesn't help that there is no action or hard movement leading to a story's end. No clever suspect interviews or trips to unknown places--considering Scarpetta once donned diving gear to work an underwater crime scene. Just details and dialogue on the details mostly makes up Dust. Yet that voice of Scarpetta sharing those details kept me going. It kept me loving the slogging pacing which really translated to "simply spending time with one of my favorite book characters." Things like this is so hard to explain. But I would imagine that I'm not the only Scarpetta fan who was both bored with most of the book, yet in love with the whole damn thing.